A minority shareholder in a company generally does not have much power to influence the management and its decision. Where as, a majority shareholder almost have an absolute control over its company, its management, and its board of directors. As a minority shareholder, how can you protect your rights and ensure that your interests are not disregarded by the management or company? 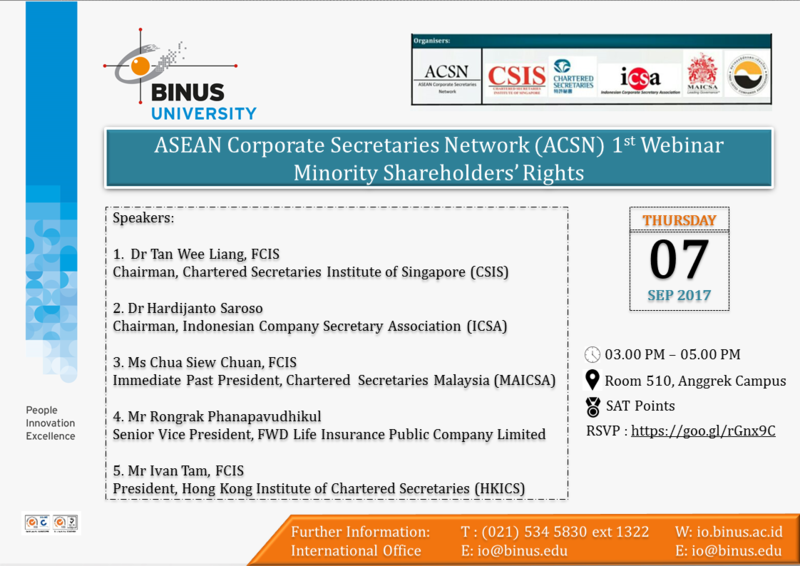 Minority shareholders can actually do so in number of ways, such as derivative action, unfair prejudice claim, and winding up petition. If you are interested and would like to join this online seminar, simply click here. VISIT MALAYSIA - Cultural Immersion with TAYLOR UNIVERSITY!